100% Real Carbon Fiber! or Choose fiberglass. Made in America! High quality made in America splitter. 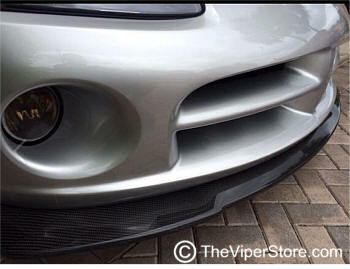 The only 100% all carbon fiber front Viper Splitter. Also available as fiberglass. Helps hold the car to the pavement for better traction and grip. 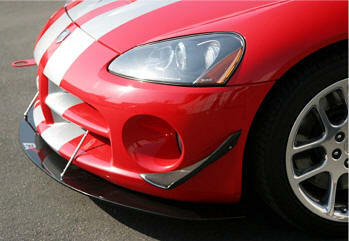 This Front Air Dam or Splitter also helps reduce lift and increase net down force. Canards sold separately - see below. Front wind splitters reduce front end lift. As air passes over the wind splitter down force is created. 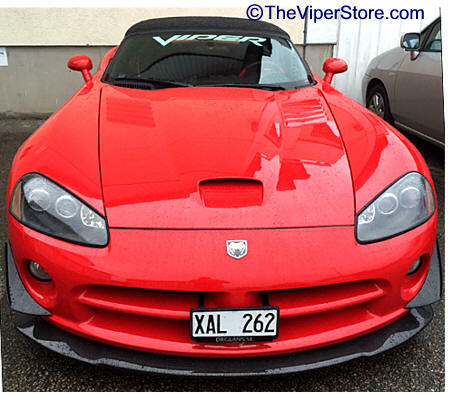 This provides your vehicle with better traction and control which leads to overall better performance. 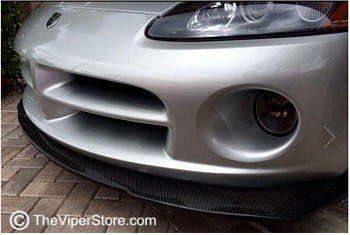 APR front splitters are fully functional and made from carbon fiber. 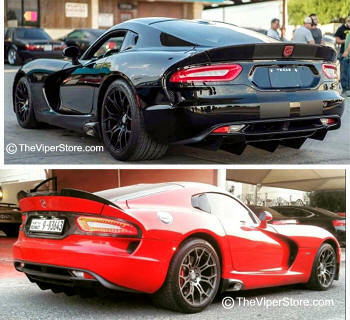 Light weight and extreme durability have made carbon fiber parts well sought after by all performance enthusiasts. 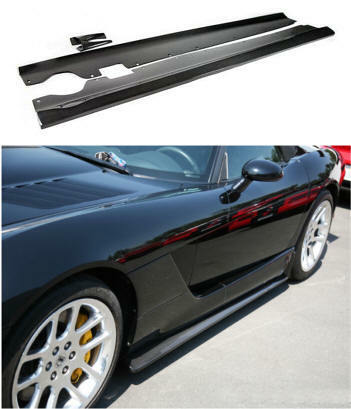 APR front splitters come with a built in under-tray for added function and down force. Stainless steel support rods are included to ensure a constant shape for optimum down force and stability. Stainless steel rods included (set of 2). Strong carbon fiber + honeycomb construction. Attaches under the factory front bumper. 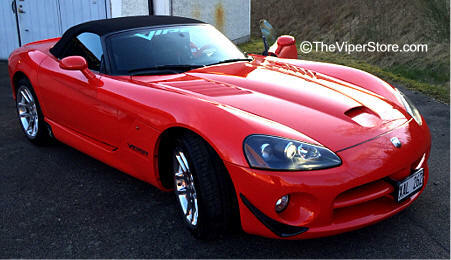 Professional installation by a custom body shop required. Hardware, stainless steel installation rods and generic installation instructions included. 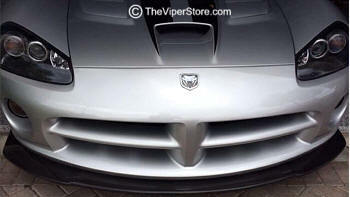 Front bumper canards are composted of layers of carbon fiber sheets and a carbon graphite core for lightweight and strength. Comes with aluminum edging to restrict air flow from easily running off the edge of the canard. Support brackets, screws and bolts are included. Drilling required. Powder coated in black metal diffuser set. Choose 4, 5 or 6. 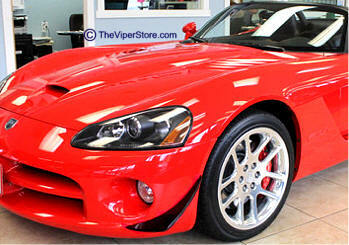 If you install more than four then you will have to custom fit them to your Viper. We recommend professional installation using rivets and washers . 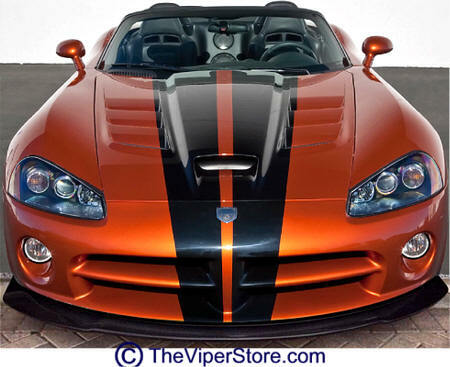 Performance carbon fiber side splitters/rocker extensions for 2003-2010 Dodge Viper. 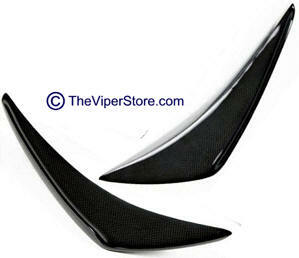 Made from ultra-light weight and durable carbon fiber, side rocker extensions help reduce lift at high speeds. Preventing air from rolling under the car helps stabilize the vehicle and increase traction and control for better performance. 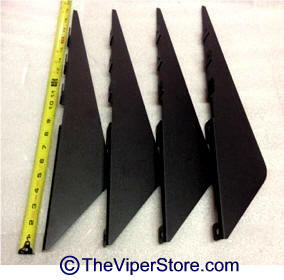 Side splitters/rocker extensions are designed specifically for each vehicle to provide OEM like fitment. All mounting hardware is included for easy installation. 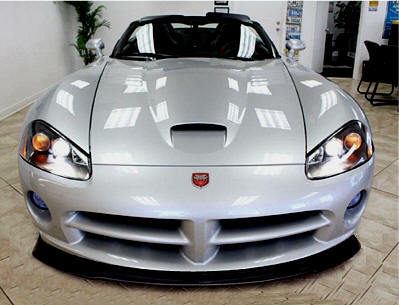 All carbon fiber products are coated with a UV protectant to shield against fading. Manufactured using a pre-pregnated process, quality and durability is ensured. 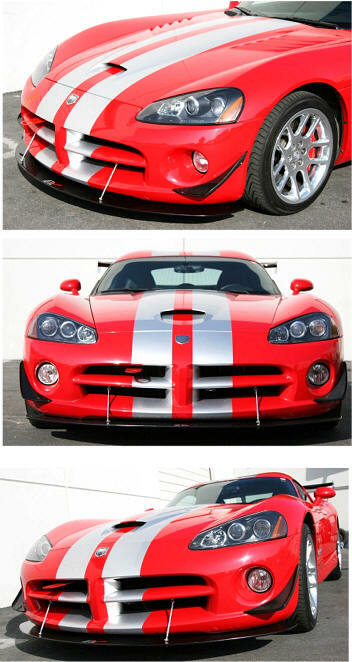 APR produces high quality fully functional aerodynamic products. High quality and excellent fitment have kept their company at the forefront of the automotive styling industry.